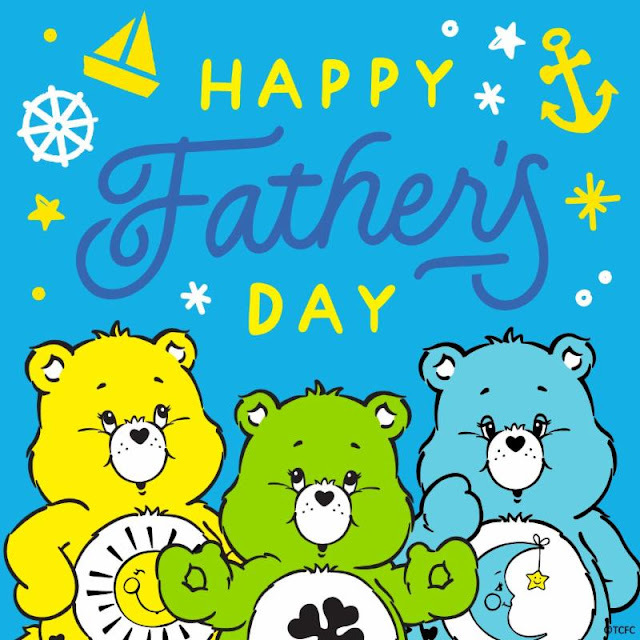 Care Bears fans can show a dad in their life how much they care about him on Father Day with these fun gift ideas. The best gifts don't have to be bought and here are a few ways to make a hand-made present that will touch dad's heart. Celebrate #DadsWhoCare this Fathers Day! Kids can show their Papa Bear how much they appreciate him with a printable Fathers Day card that lets them personalize it with their own comments and drawings. School's out for most children before Fathers Day arrives so if they didn't make a class project for Dad this free printout is cheaper than a $10 store bought card that is also a much more personal sentiment which kids can easily do at home. As a dad myself, I can also assure you that moms and kids can never go wrong in giving a guy a sweet treat for Fathers Day. California Donuts have created awesome Care Bear donuts and they've kindly provided A Geek Daddy the info so you can do them yourselves. Baking up a batch is sure to put a smile on dad's face. Or if you're not a whiz in the kitchen you could also just buy some plain doughnuts and decorate them.